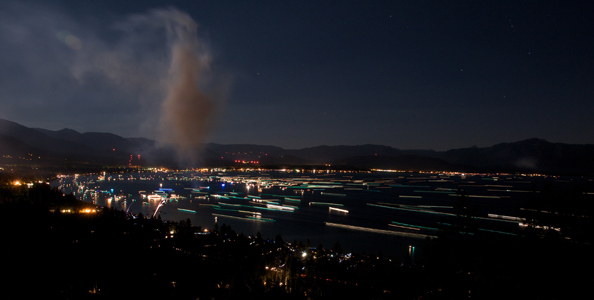 Boats surround the fireworks launched off barges on Lake Tahoe, near Nevada Beach. 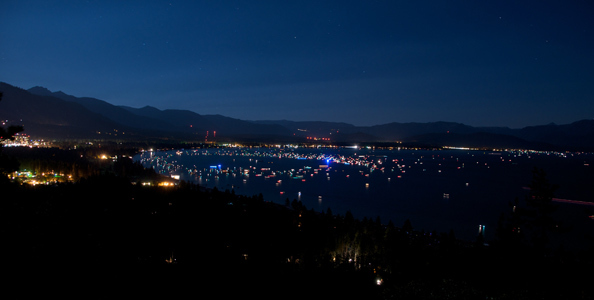 Lights on the Lake, South Lake Tahoe’s spectacular Fourth of July fireworks event is a display of light among the best you’ll see on Independence Day. Resplendent reds, gorgeous golds, brilliant blues and eye-grabbing greens explode in a bright medley of aesthetics in the sky, producing those oh-so-lovely oohs and ahhs we all love to experience. 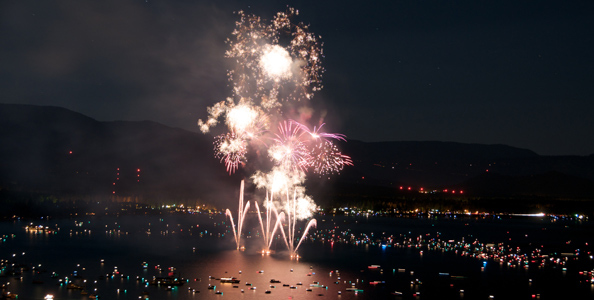 The Lake mirrors the man-made nebula of light, doubling the twinkle and fire of Independence Day. The show begins at approx. 9:45 p.m.. Be sure to arrive early as the area fills up with spectators hours earlier. When in Tahoe on the 4th of July, this is a can’t miss performance! 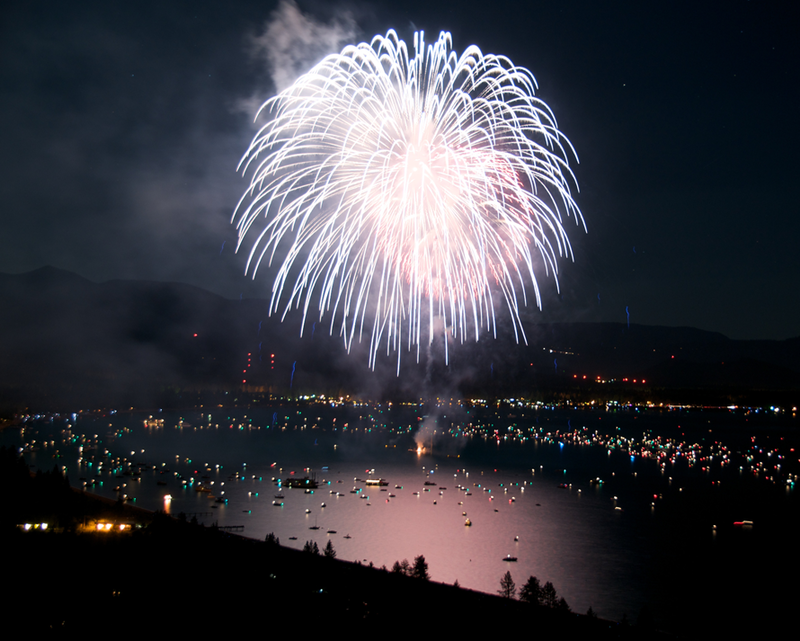 Among places to enjoy the show, make an effort to be at Regan Beach, El Dorado Beach or Nevada Beach. Standing lakeside among the stars and Sierra Nevada air makes for unobstructed views of the show. Regan beach, although much smaller than Nevada and El Dorado, has a great grass recreation area complete with playground and snack stand. The kids can swing on swing sets underneath the fireworks, and couples and groups can take in a view of the fireworks and the skyline, with a great view of the strip just a couple of miles off in the distance. Tune into KRLT-FM 93.9 or KOWL-AM 1490 to listen to a synchronized musical broadcast. Are there not going to be fireworks that Saturday or Sunday in South Lake?